Meet Maureen (Anders) and Adria (Ruff). 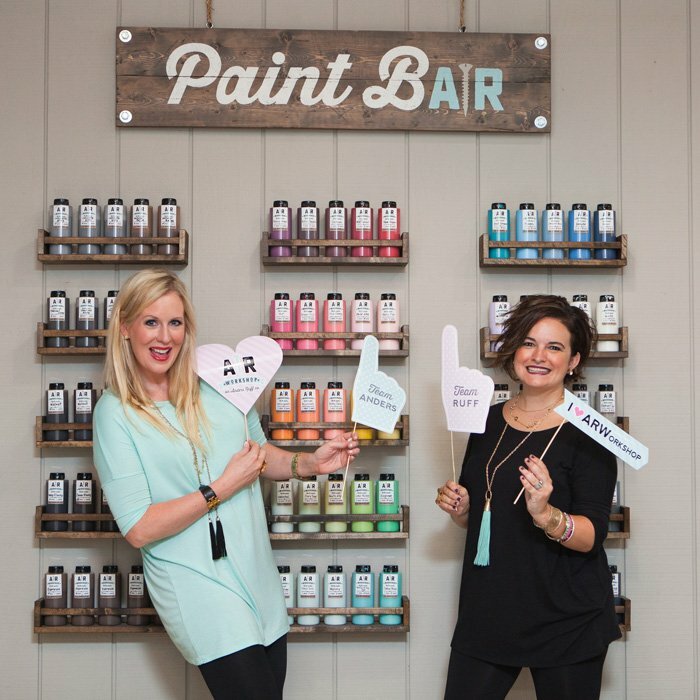 These two are the designers behind the 2010 design company Anders Ruff®, a popular graphic design, party styling, DIY blog and online shop. 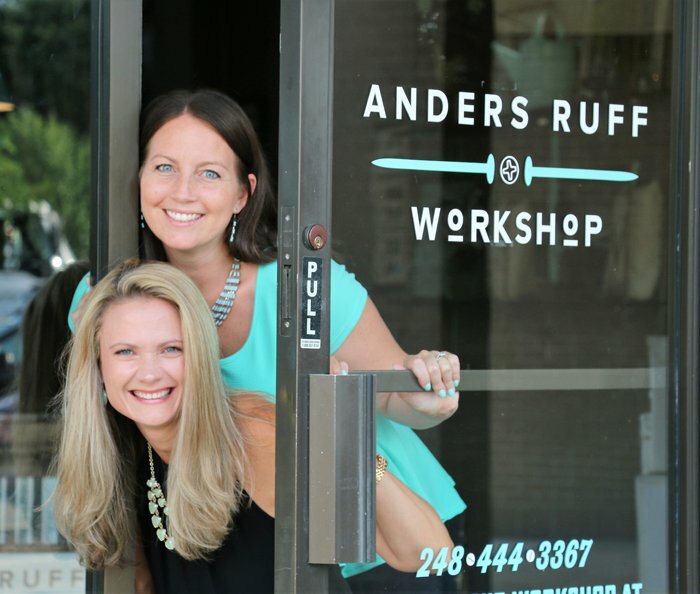 Anders Ruff® quickly evolved from an Etsy shop, to their own branded e-commerce platform and blog where thousands would visit and shop their online store for printable party goodies. They coined the blog column, “Ruff Draft”, which was a source of DIY inspiration and ideas for many years. 6 years later and many creative ideas completed, these two had demands from fans and clients to offer hands-on workshops where they could teach their skills to others. Their dream of coming out from behind the screen to offer DIY workshops for home decor and other creative skills came true! The vision was to create an inspiring and charming boutique workshop that not only offers classes but sells unique and beautiful retail items that Maureen and Adria use in their styling jobs and photoshoots for magazines and celebrities! AR Workshop® was born! 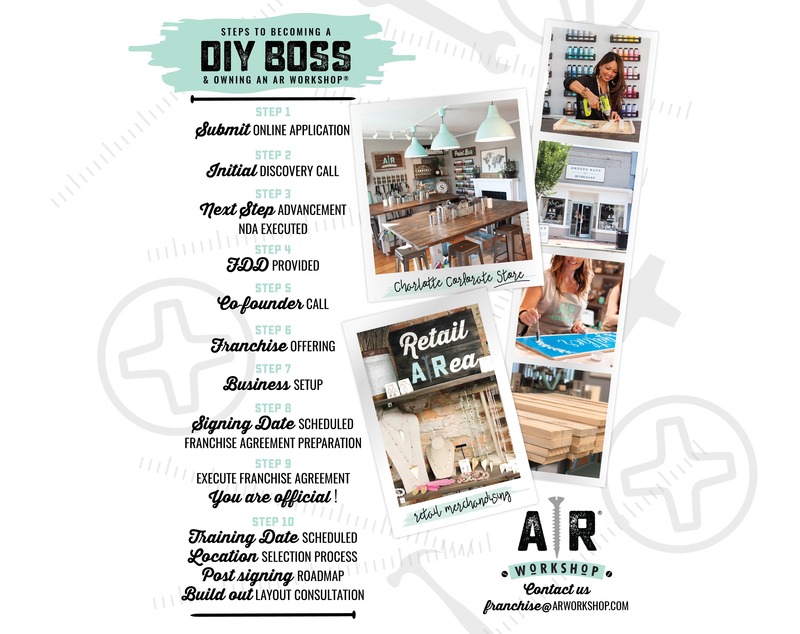 Their DIY loving audience quickly noticed the AR Workshop® brand and concept, and started asking to open their own locations. Now here we are, over 2 years later with more than 100 franchise locations across the country! Jen (Amin) is a high energy, business minded, boy-mom. 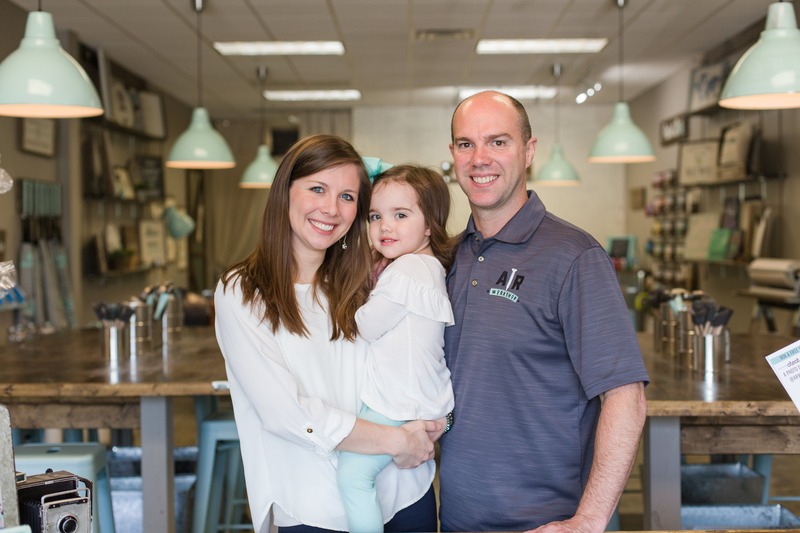 When she isn’t bringing her (3) adorable sons to and from sports games and practices or helping her husband at one of their 2 restaurants they own, Jen is focused on running the operations of her workshop locations in Northville and Rochester. With a medical sales background and business degree, as her family grew her needs for flexibility increased. Her entrepreneurial spirit was set on fire. Owner, Jen (Perino), is a passionate and strategic minded half of AR Workshop Northville and AR Workshop Rochester. Her 2 girls and 1 boy keep her busy and are often found by her side at the workshop while Jen runs the business. Jen’s occupational therapy career quickly turned a corner when she decided to join Jen Amin in business on this exciting adventure! Joanna is a mom of two young boys and an avid DIY-lover. She had a successful career in corporate America for years. When she was introduced to AR Workshop by her step-mother, she couldn’t get it out of her head and had to explore the concept. Within months of visiting AR Workshop Pineville, she had completely revamped and renovated her spaces in downtown Westfield, Port Washington and Red Bank to shine the AR Workshop vibe. She is thrilled with the response the community has had! Rebecca has an Event Marketing background, which spans over 14 years in the promotional industry. Her expertise with experiential marketing, creative design of high profile events and her own personal LOVE of DIY projects makes her an ideal candidate for bringing an AR Workshop to the Philadelphia area! As an added bonus, Rebecca is cousins with Jennifer Perino, one of the owners of our Northville, Rochester & Milford Michigan’s AR Workshops! When Ashley and Matt stepped away from the classroom to open their very first AR Workshop, they knew they wanted to stay involved in their community. What better way than to provide a fun, relaxed environment where you get your DIY on with power tools! Ashley has always been a go-getter, filling her calendar with as much as possible. Matt is the perfect balance as he knows which ideas are worth their time and helps execute them. Being able to work together is their biggest joy, and having their 2 year old at the shop hammering away at the wood is a bonus! Getting to DIY every night may sound like the perfect job, but it’s perfect beyond that for this couple. It’s more about the friendships that they have made along the way, and seeing the direct results of all their hard work. 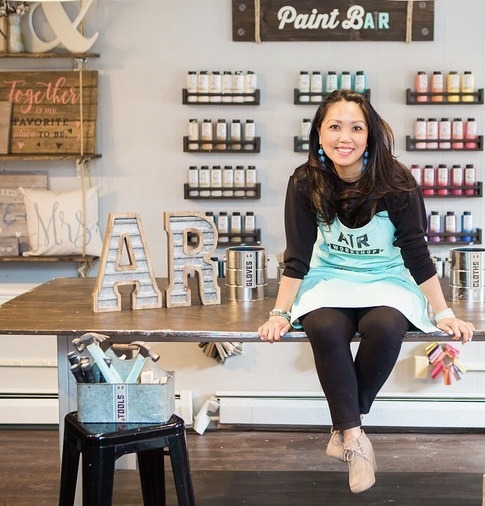 Meet Katie Nguyen Wells, owner of AR Workshop Alexandria! Leveraging her corporate consulting career, experience running her own event styling business, and love for DIY, Katie brings a great blend of business sense, creativity, and entrepreneurial spirit to her role. When she’s not ‘working’, Katie is always on a ‘treasure hunt for unique home decor and loves scouring flea markets and yard sales seeking inspiration for her next home project. She is often spotted exploring Virginia’s countryside with her husband John and their kids Cole (11) and Lila (9). Family jaunts, prosecco, picnicking at local wineries and breweries, casual entertaining at home, and al-fresco dining in and around Old Town Alexandria are some of Katie’s favorite things.